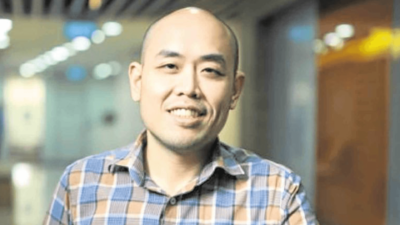 Christian Lim is the chief operating officer of Microsoft Philippines. He received the Mansmith Young Market Masters Awards in 2012, back when he was still connected with PLDT. He shares his insights about digital transformation, which he says brings about people empowerment, operational efficiency, better customer engagement and business model transformation through digital technology. Q1: Between the chief marketing officer (CMO) and chief information officer (CIO), who should lead digital transformation in a company and why? A: Neither. Ideally it should be the CEO who leads digital transformation (DT) initiatives or they should create a DT office led by a chief digital officer (CDO) working across all different organizations in a company, such as IT, marketing, operations, etc. This is because digital transformation is not just about changing the way you engage customers (marketing) and empowering your employees (IT) but also optimizing your operations and transforming your entire business model to be faster, leaner and diverse. Q2: Which three companies in the Philippines have great digitalization strategies and why? 1. Union Bank of the Philippines: [It has an] impressive digital banking view and strategy to reshape the bank into a “technology company with banking utilities.” [It plays] around already with next generation solutions, i.e. blockchain, and working on an infrastructure that will allow businesses to connect with fintech players. Most importantly, they keep the customer in the center of their banking experience, as evidenced in their “Making the Diff” motto. 2. ABS-CBN: [It is] currently moving its entire productivity solutions to the cloud to empower employees to be able to work anywhere at anytime. Tremendous work [is] being done as well to gather customer feedback, to create new content and utilize data for shows, etc. [It is] making huge strides in digital convergence and transforming from an ads to a service-type business model. 3. Revolution Precrafted: [It’s a] great example of having a digital mindset to change an entire industry to “world-class home designs at your fingertips.” True to its company name, it is indeed revolutionizing and democratizing home design, architecture today.